OK, readers.. I will state something that is absolutely the truth, and what I have been stating right here in this blog for quite some time... Man has never walked on the Moon. The entire Apollo space missions that supposedly put men on the Moon from 1969-1972 never ever put men on the moon, and actually never put men higher than approximately 400 miles in low Earth orbit. The simple fact is that they could not go any higher due to the intense deadly radiation from the Van Allen Radiation belts. In the 1960's scientists and experts at NASA knew that they could not solve the radiation shielding problem, so the US government launched a clandestine operation where the entire Apollo "Man on the Moon" missions would be FAKED. The entire Apollo program was a fraud, a massive hoax, and a propaganda stunt, done for Cold War prestige by the United States in their battle for technological "superiority" against the Soviets, and for giving the American public something to have pride in at a time when their government was embroiled in a lost war in Vietnam and people were losing confidence in their own government. Pride is a valuable psychological weapon indeed! The fact that we never put men on the moon does not sit well with a lot of people. Why is quite simple. Pride drives people to have faith in something that they have been programmed through the false education system to believe in most of their lives. To suddenly find out that what has been taught to be true turns out to be a lie definitely does not sit will with most people. However, knowing now that our education system is full of lies, and that governments have a knack for constantly lying, may finally enable people to awaken to the reality that what they have believed about space missions most of their lives is also a pack of lies! Soviet officials lied about the success of Yuri Gagarin's historic 1961 flight into space and covered up the fact that he had landed more than 200 miles away from where they were expecting him, a new book discloses. However, a new book published on the eve of the fiftieth anniversary of Gagarin's famous flight has revealed that scientists twice miscalculated where he would land which is why there was nobody there to meet him when he finally touched down some 500 miles south of Moscow. "For many years Soviet literature claimed that Yuri Gagarin and his Vostok landing capsule had come down in the area it was supposed to," according to the book, titled 108 Minutes That Changed the World. "(But) this information was far from the truth," it added, saying Soviet space planners had been expecting him to land almost 250 miles further to the south. "So it turned out that nobody was waiting or looking for Yuri Gagarin. Therefore the first thing he had to do after landing was set off to look for people and communications so he could tell the leadership where he was." pondered his own mortality, telling his wife not to "die of grief" if he never returned. He said he hoped that they would never have cause to read his words. "But sometimes people slip on even ground and break their neck," he wrote. "Something could also happen here. If it does I ask you Valyusha (affectionate name for his wife) not to die of grief. After all life is life and there is no guarantee for anybody that tomorrow a car might not end ones life." His decision to pen a farewell letter was understandable. In 1957, Soviet scientists had sent a stray dog called Laika into space only to see her die within hours from overheating. Gagarin's wife finally got to read his emotional letter in 1968 after his tragic death at the age of just 34 in a mysterious plane crash. NTS Notes: I am waiting for the time that the revelation finally comes out that the entire Yuri Gagarin "man in orbit" mission in 1961 may have been faked. There is strong evidence that has come out thanks to research that shows that Yuri Gagarin himself never actually went into orbit, but was selected and christened by the Soviets to be used for pure propaganda as their "hero". This is indeed an interesting revelation on the eve of the 50th anniversary of Gagarin's alleged space flight. The fact is that both the Soviets and the Americans lied through their teeth about many of their so called space missions, and now thanks to the Internet and close research, the truth may finally come out for all to see. While World Attention Is Diverted Elsewhere: Israel Is Planning Another Invasion Of Lebanon To Get The Litani River! Again, as in the last article, while World attention is being diverted by the crises in both Libya and Japan, other events are taking place, or may take place shortly. One such event may be a new invasion of southern Lebanon by the criminal state of Israel for them to seize their long cherished new source of valuable drinking water...The Litani River. Many of the sites on the map are located south of the Litani River in Lebanon, the zone where Hezbollah is banned from keeping weapons under the U.N.-sponsored truce that ended Israel's summer 2006 war with the guerrilla group. An article on the military spokesman's website says Hezbollah has set up some 550 bunkers, 300 monitoring sites and 100 weapons storage facilities. The facilities are located in 270 villages, and many are located near hospitals, private homes and schools, the military said in a statement published on its website. Israel and Hezbollah went to war after the Lebanese guerrilla group killed three Israeli soldiers and captured two others in a cross-border raid. Although Israel inflicted heavy damage on the group, it was unable to prevent it from firing some 4,000 rockets into Israel during the monthlong conflict. Since then, Israel has accused Hezbollah of repeatedly violating the U.N.-brokered cease-fire by restocking its arsenal and covertly moving forces into south Lebanon, near the Israeli border. The map released Thursday was meant to provide new evidence against Hezbollah. Israel believes Hezbollah now has more than 40,000 rockets, nearly three time the pre-war level, including more powerful weapons capable of reaching Israel's Tel Aviv heartland. The militant group, which controls the strongest armed force in Lebanon, did not acknowledge or deny that the Israeli map was accurate and accused Israel of employing scare tactics. "They are trying to tell us that they will destroy Lebanon. Let them do it if they can and I tell them they cannot," said Khodr Noureddine, a member of Hezbollah's political bureau. He speculated that Israel might have released the map because Hezbollah's leader, Sheikh Hassan Nasrallah, told the group last month to be prepared to invade northern Israel if a new war between the two sides breaks out. Israel has for years accused Hezbollah of rearming with the help of Iran and Syria, setting up "rocket villages" in southern Lebanon. The Israel-Lebanon border has been tense but largely quiet since the war, which killed around 1,200 Lebanese and 160 Israelis, according to official counts from each side. NTS Notes: I really do love the word "alleged" in the title of this propaganda... They have to use that word simply because these "alleged" sites absolutely do NOT exist! The first thing that readers should do is look closely at the map in question. 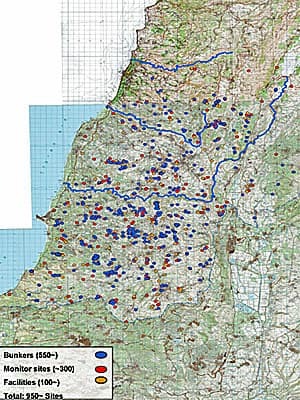 Notice the very long blue squiggly line in the middle of that map... That, readers, is the Litani River, which the criminals in Israel want desperately for their own selfish needs because they have failed to properly conserve water in a region that is basically arid, and constantly suffering from droughts. The idea that Hezbollah has all of these bunkers is utterly preposterous. This article is indeed pure propaganda Bull Crap to again sell the public the notion that Israel needs to attack southern Lebanon to "eliminate" this threat! Lets get the truth out and make sure that people everywhere are brought up to speed about the truth behind Israel's constant push for war against Lebanon. While World Attention Is Diverted Elsewhere: Rothschild Zionist George Soros Poised To "Reorganize The Entire Global Economic System"
Yes, world attention has been focused for the last few days on the continuing disaster unfolding in Japan at the Fukushima nuclear power facility. It does appear that at least 2 and possibly 3 reactors are in full meltdown, with the end result being nothing short of catastrophic. We are also watching as the war in Libya is escalating and very shortly we will see direct US involvement in that country by the use of ground forces. It will be another war for Israel that the bankrupt US presently cannot afford. NTS Notes: Yes, readers, they are serious about this, and if these criminals are able to get away with this as world attention is diverted elsewhere, our very lives will be changed forever. But this seems typical of these criminals that when peoples' minds are purposely kept busy with other issues, they do these evil actions. The net result is that most people are not kept aware of what is going on, and they find out after the fact. Then it is too late to take action to stop them! The major prime example is the passing of the Federal Reserve bill in the US Congress on Christmas Eve, 1913, while most congressmen were already heading home for Christmas and unaware that Woodrow Wilson and his Rothschild cronies and controllers had pushed and passed this horrific bill! Spread the word, readers...This is very serious business, and as the last comment of the Revolt of the Plebs article states: "Consider yourselves warned!" Much has happened since I posted an article last week stating that the founder of the social network, Mark Zuckerberg, is either a Mossad agent, or an agent working closely for Mossad (Sayanim). These facts were presented by the writer Roy Tov, and originally publiished over at the website: Revolt Of The Plebs. A few days ago I published an article named Is Zuckerberg Mossad? It was cited even by the forums of the Russian Pravda. The article analyzed Mark Zuckerberg and concluded that he is probably a “sayan” of the Mossad. “Sayanim” (“helpers” in Hebrew) are people that provide help to Mossad operations. Usually they belong to Jewish communities. The activities of Facebook and the way Zuckerberg stole the basic technology and the initial database of the company, point out at an intelligence services operation. Neither Mark Zuckerberg nor the Mossad complained about my claim. Not even one reader did so. That probably means it is safe to assume the claim is true: Mark Zuckerberg is a sayan of the Mossad. In the same article I made a general claim: “Mossad wanted to get formal access HarvardConnection.com technology. It is useful for monitoring and controlling social networks.” However, I didn’t elaborate since it wasn’t directly related to the topic. Today, I want to explain why Facebook is so important to Mossad in greater detail. “Vitamin P” is what we called that in the kibbutz. The “P” stood for “protection;” if you didn’t have Vitamin P, you couldn’t advance in the Israeli society. Yet, a more common term is “ksharim.” This is the plural of “kesher” which means “knot,” “link,” “connection,” or “bond” (see verse at bottom). Having “ksharim” means being well-connected, but not only that. Victor Ostrovsky enriched our definition of this term in an unexpected way. Victor Ostrovsky was a recently graduated katza (case officer) of the Mossad when he was forced out of this criminal organization. He then wrote a book called By Way of Deception, which became a New York Times bestseller in 1990. What are the values of this organization? I have no intention to nag my readers with the meaning of Hebrew words, but some insight may be achieved by looking at the Mossad’s motto(s). Mossad’s former motto was taken from Proverbs 24:6 “For by wise counsel thou shalt make thy war: and in multitude of counsellors there is safety.” The new one is from Proverbs 11:14 “Where no counsel is, the people fall: but in the multitude of counsellors there is safety.” In the English translation of the Hebrew text it is difficult to realize that only one word is repeated in both verses: “tahbulot” (the “h” is pronounced like the “ch” in “loch”). This means the people of that organization consider this word the heart and soul of the motto and – consequently – of their organization. How is that soul? Most Hebrew words are constructed upon a root of three consonants. In the case of “tahbulot” the root is H.B.L. which roughly means “disrupt.” The emphasis is on a bad disruption; not “Please sir, stop for ten minutes and have a coffee with me,” but the dropping of hot coffee on someone in order to force a break. “Tahbulot” may be translated as “disrupting tricks.” “With disrupting tricks you shall make war” is a good translation of the first motto, while the new one begins with “without disrupting tricks the people shall fall…” Moreover, a word derived from the same root is used for “terrorist,” namely “mehabel” (note the appearance of the same root H.B.L in the word). In other words, the Mossad defines itself as a terrorist organization specializing in disrupting tricks. This is extraordinary. Many years before Justice Goldstone and the Human Rights Commission of the UN defined Israel as a terrorist organization, Israel did it by itself. Simply, most people don’t read Hebrew. Why is Facebook so important to Mossad? Because it makes life easier for them; Facebook is the accountant in the metaphor given at the beginning of this article. Facebook collects data from all its customers email accounts (the lawyers in the same metaphor). It shows many of the personal links (“ksharim”) of its members and can make intelligent guesses on possible off-line links. This last characteristic is important because often we contact our most significant relations exclusively off-line. Thus, Facebook is an invaluable tool for an intelligence-terror organization. NTS Notes: The fact is that Facebook recently censored and pulled a Facebook page asking people to support the Palestinians in a new uprising against their Israeli oppressors. That alone should have given people the proof positive that Facebook is a tool being used by the Israeli Mossad for surveillance and information gathering on all of its users! Again, readers, I do highly recommend that if you do have a Facebook account to close it immediately. These criminals are using these social networks for spying and for gathering information on people. As I stated before, people are gullible enough to put up personal information on these sites without proper knowledge that they are unwittingly supplying these criminals with information for free that would have taken them years to obtain by other methods! I have never trusted Facebook and this Mark Zuckerberg character, and I never will. Now I have evidence that supports my claims. I hope that others can finally see my points. Libyan "Rebel" Leader Is A CIA Operative! We are all watching the escalating war in Libya wondering when the United States and its "coalition" will actually go in with full ground forces. On Monday, we had President Barry Soetoro go in front of the American public on Zionist Jewish controlled network television in the United States trying to sell another full scale war to the now pessimistic American public. It is quite obvious by now that the criminals want Ghadaffi out of power in Libya, and replaced by a puppet of their choosing. It is now a fact that the new Libyan "rebel" leader is a man named Khalifa Hifter. But not much is known about this man, other than the controlled media stating that he had lived in the United States for some 20 years in Virginia, and suddenly just a few weeks ago he felt obligated to return to Libya to lead the "rebellion". It has been six days since Khalifa Hifter was appointed the top military commander for the Libyan rebel forces fighting the regime of Muammar Gaddafi. His appointment was noted by reporter Nancy Youssef of McClatchy Newspapers, a US regional chain that includes the Sacramento Bee and the Kansas City Star. Both the McClatchy sketch of Hifter’s background and the WSWS perspective have been widely circulated on the Internet. The WSWS perspective has been linked to by a myriad of left-liberal and antiwar web sites, although, significantly, there has been no mention of Hifter in the press of the International Socialist Organization and other pseudo-socialist groups that adapt themselves politically to the pro-Obama liberal milieu. Hifter has been interviewed and his appointment reported by the European press, including the Independent of Britain, the German weekly Stern, and newspapers in Spain, France, Italy and Turkey (with variant spellings, including Heftar and Haftar). But not in America. Hifter’s name has not appeared in the bulk of the corporate-controlled US media. The New York Times, the Washington Post, the Wall Street Journal, the Los Angeles Times have all been curiously silent, despite having more journalists in the war zone than McClatchy. The US television networks have likewise kept quiet on the identity of the Libyan rebel commander, with the exception of a brief interview with Hifter on ABC News March 27, which made no reference to his previous long-term residence within five miles of CIA headquarters in Langley, Virginia. There is no credible explanation for this silence from the standpoint of journalism. There is no security reason to keep the name of the Libyan commander secret—it was publicly announced by the Transitional National Council in Benghazi, and Hifter is certainly well known to Gaddafi, who employed him as a commander of Libyan-backed forces in the civil wars in Chad in the 1980s. The obvious conclusion is that the American media is keeping silent in order to deprive the American people of information that would help clarify the nature of the US military intervention in Libya—and trigger opposition to it. The selection of a longtime CIA collaborator as commander of the rebels makes nonsense of the official claim that the United States is intervening militarily in Libya to protect civilian lives, rather than taking sides in a civil war in order to gain control of Libya’s oil assets and strengthen the position of American imperialism in the region. In the case of Khalifa Hifter, this responsibility “not to publish” extends beyond the concealment of the documentary evidence of American war crimes and diplomatic conspiracies uncovered by WikiLeaks. The American media is withholding from the American public basic facts about the war in Libya, widely reported overseas and easily available to those who know where to look. There is no other word for this but censorship. NTS Notes: I am going to state the obvious right here... This man is a CIA trained operative who has been selected by his handlers to go into Libya and lead their "rebellion" against Ghadaffi. Once Ghadaffi is removed, he will do the Americans and the Israelis bidding. The fact is, readers, that we are being deceived by these criminals as to their true intentions in Libya. It is obvious now that they want to remove Ghadaffi who fell out of favor with his masters, and put in another controlled puppet. The Invasion Of Libya Is Disgusting! There is so much turmoil in the World today, that I do not even know where to begin. We are still watching and wondering what the eventual outcome will be from the disaster at the Fukushima nuclear facility in Japan, and it may not be pretty. We are also watching the massive upheavals taking place in the Middle East, and the push now by the Israeli controlled puppet regime in the United States for ground forces to support their "rebels". It indeed is disgusting! The invasion of Libya is disgusting. And the people who support it are disgusting. Name me one world leader who has done more for his own people than Muammar Gaddafi. Maybe you can come up with one or two - like Aung San Suu Kyi or Hugo Chavez - but I doubt it. 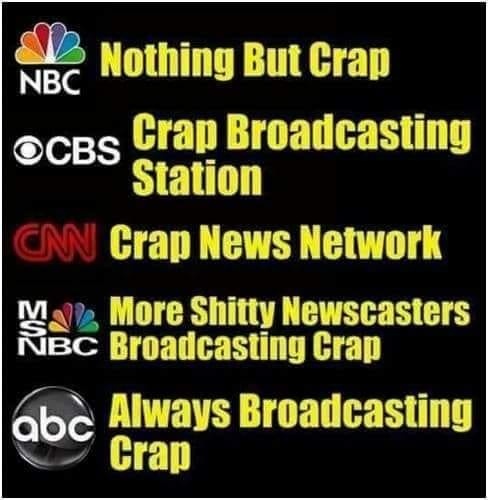 And all these hypocritical skunks who write on the Internet who are saying we have to go in there to protect the Libyan people, and all the while the Mossad and CIA have hired African mercenaries to foment this "revolution" in the first place, while at the same time Israel has provided us with the Stuxnet virus, the use of which is about to kill tens of millions of people. Anybody who believes what the U.S. government says about anything is disgusting, not to mention immoral, and delusional. But the USA isn't about to rescue anyone except the Jewish bankers who have stolen all its money and taken it to Israel, trillions at a time. Besides, it's too busy following Jewish orders and savaging ordinary people in all Muslim countries to have time to reverse its policy and actually help Muslim people in Libya - no, it's a lie. The Muslims who really needed help were the ones on the Freedom Flotilla to Gaza, where Israel shot one Turkish teenager four times in the head while he was lying wounded on the deck of the Mavi Marmara, not to mention the Muslims being rapidly exterminated in their evaporating country of Palestine. Because their consciousnesses have been dulled by TV, Jewish sabotage of school curricula, fluoride, radiation, vaccines, white flour, robot (a.k.a., secret Jew) politicians and other demented social experiments, the American people have no clue that they should even want to see - never mind to finally understand - the most important political and social meme in human history that would suddenly illuminate the cause of all the wars and diseases inflicted upon the world, and then all covered up in each generation by the people who wrote the history, and who wrote to please the people who had won that particular war. Dark as these days may seem, screwing in this lightbulb to your panel of interior lights may yet save the world. In fact, it is an essential step - one that cannot be done without - to have any future at all for humanity as we know it (or already we may possibly say, as we used to know it). In fifty - let's see, I had my first front page newspaper byline in 1957, when I was in the seventh grade; I did my first newspaper in 1954, at the age of 9, in pencil, with a banner headline of "H-bomb tests in Pacific" - so that would be 57 years. In 57 years of practicing journalism, this is the most important piece of information I have discovered. NTS Notes: I find it especially intriguing about the idea of scalar weapons behind the earthquake that hit Japan back on March 11th, due to the fact that I have put up articles that show definitive proof that not only does HAARP exist, but it is being used by the US government for actual weather manipulation around the world as we speak. To use a device such as HAARP to trigger an earthquake that could potentially cost the lives of tens of millions of innocent people seems too ghastly and morbid for even myself to have ever considered. I had originally believed that these criminals would never consider such an immoral and inhuman act of outright murder. But we must remember that we are dealing with very sick and evil people that actually think of us as nothing more than cattle. To them, once they obtain their world dominion, we are to be their slaves or to be eliminated all together. Even one of their agents of evil, Heinz (Henry) Kissinger, said back in 1974 that World populations must be reduced tremendously for their "new world order" to have effective control and to eliminate the "useless eaters"! The facts presented here about how these criminal Zionist Jews have caused the deaths of hundreds of millions of innocent people in the last century alone is absolutely true and can be backed up by careful research. I do suggest that those who still do not believe what they are reading to be factual to do their own research for themselves... What you will find will surprise and shock you! The Fukushima Nuclear Disaster: Things Are Going To Get Much Worse Yet! I have been watching very closely what has been happening with the Fukushima nuclear facility as closely as everyone else. I have also been very disturbed by the absolute lack of, or distortion of, important information about exactly how bad the situation is from the controlled media sources. I laughed as much as everyone else when the shill Ann Coulter made the outrageous claim that "radiation is good for you". Readers, statements such as that one shows clearly how badly the MSM is out of touch with reality, and definitely not keeping us aware as to how bad the situation truly is. How bad is the situation? I am leaning more and more into the realm that this disaster will dwarf what happened at Chernobyl in 1986, and definitely much much worse than what happened at Three Mile Island Pennsylvania back on this date in 1979. It does seem that what we are watching is the meltdown and total destruction of 3 reactors at Fukushima, and the fact that at least one, or possibly all three are in meltdown as we speak. NTS Notes: The reason why I decided to focus on this article is that it presents a very real scenario that could happen very shortly. The simple fact is that the meltdown at reactor 3 at Fukushima will cause the core to melt right through the flooring of the reactor and cause it to sink due to its own gravity into the ground. This scenario is known as the `China Syndrome``, and the name comes from the theory that the core is of such high temperature that it could in theory go right through the earth all the way to China! However, what will happen is that the core will sink until it hits ground water. The tremendous heat of that melting core will cause the water that it comes in contact to instantly boil and explode. That resultant explosion will cause the material of the core to break apart and particles will attach themselves to water vapor and rise rapidly into the atmosphere in a radioactive cloud of tremendous intensity. The real scary scenario is that Reactor 3 is where the MOX Plutonium-Uranium Oxide fuel rods were stored, and when that material gets caught up in the China Syndrome explosion, we will have a super deadly radioactive cloud of poisonous Plutonium on the loose. Considering that Plutonium at 1 microgram concentration is deadly to humans... Look out! I must state that I am giving the worse case scenario here. But considering that our controlled media sources continue to lie and downgrade this dire situation, I do believe that what is speculated here is a very strong possibility and closer to the truth! The Ongoing Plot To Create "Greater Israel"
Is Facebook's Mark Zuckerberg Mossad? IAEA Head: Iran Has NO (Nuclear) Arms Program!